If you use your bow a lot, most likely your string will eventually get worn out and need to be replaced. This is just general maintenance that comes with owning a bow. Always inspect your string and make sure there are no breaks or unwindings in the string. If you see any signs of wear, it is best to go ahead and replace the string as soon as possible to avoid the string from snapping when you are shooting. 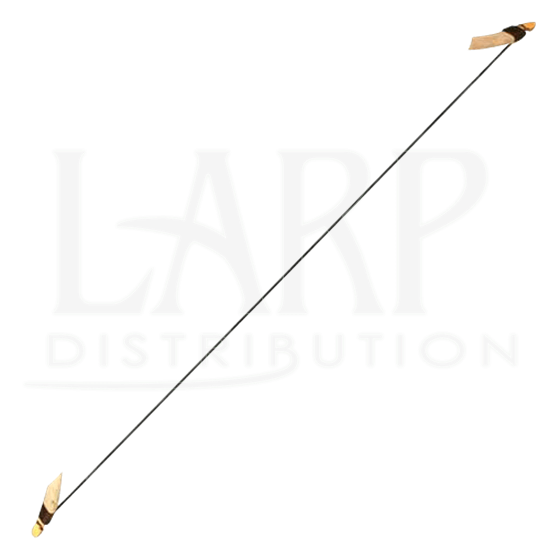 This replacement string is meant to be used with the Medium Ready for Battle Bows and Medium Squire Bows. Stay hydrated throughout your adventures with the Doran Water Bottle. 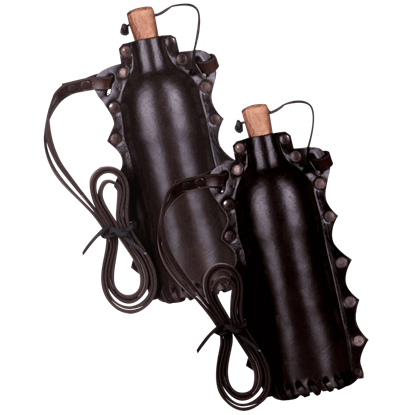 This authentic looking water bottle is covered in high-quality leather, but the inner lining of the bottle itself is made of food and drink safe PET material. A quick draw sometimes makes the difference between life and death. This is true with any weapon you wield. 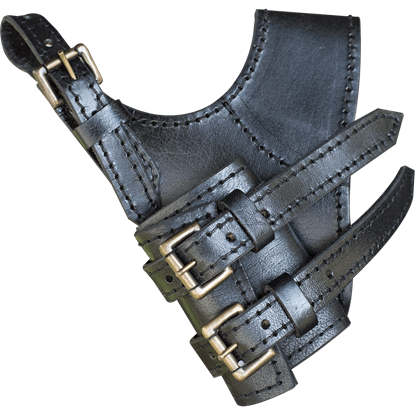 So make sure your weapon is easily drawn by wearing this Adventurer Sword Holder whenever you head off into LARP combat. Any assassin knows that the first line of defense is to hit the enemy before they see you, and the best way to do that is to hit them from a distance. 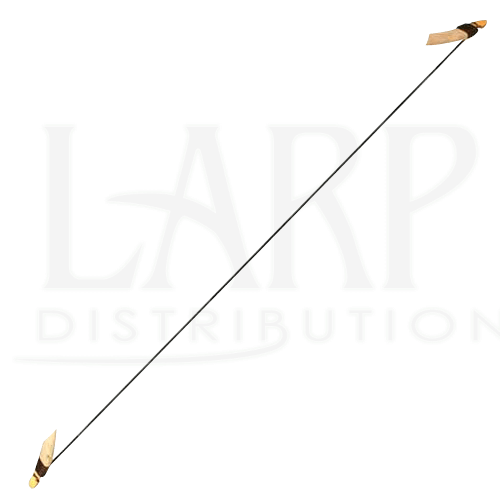 Luckily, attacks such as these are exactly what the Ferro LARP Throwing Dagger is for. 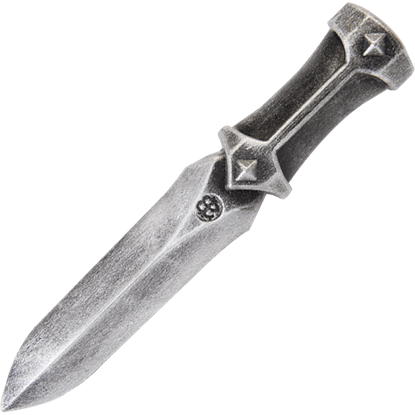 Whether you are a dark elf, an orc, or some other kind of rogue, you can add this morbid throwing weapon to your arsenal as a unique item. 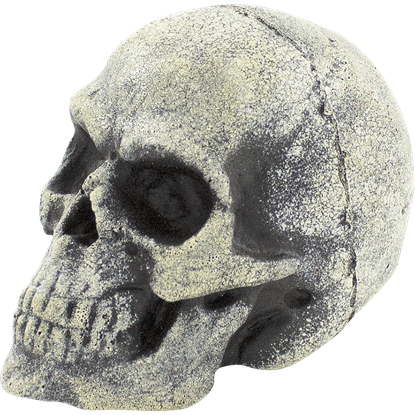 The Small Bone LARP Throwing Skull displays a realistic-looking, bone-like human skull.